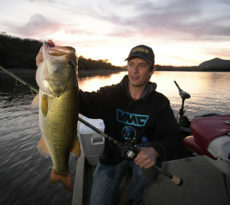 There’s nothing more frustrating than hooking up to a trophy fish, only to end in heartbreak with snapped fishing line. Seaguar Premium Fishing Lines now provides insurance against an angler’s worst fear. New York, NY (May 29, 2018) – We’ve all been there before: the panfish trip interrupted by a giant pike; the speckled trout adventure that becomes a bull redfish circus; the after-work bass run that evolves into a battle with a mammoth flathead. All too often, these unplanned encounters with oversized representatives of non-target species end just as quickly as they began, frequently because that giant fish found the weak link in our tackle: a straightened hook; a weakened rod; a frayed line. 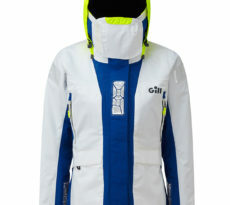 Braided lines serve as the foundation for many presentations in freshwater and saltwater alike. 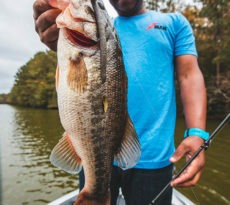 From bayou bass to inshore reds, tournament anglers chasing a paycheck and weekenders just chasing the dream, depend on Smackdown to get the job done. 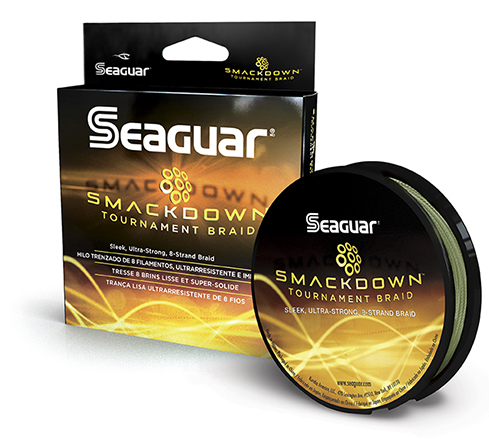 A sleek, ultra-strong, 8-strand braid, Seaguar Smackdown is so thin that 40 lb test Smackdown has the same diameter as 12 lb test monofilament. Its round profile enhances casting distance by peeling effortlessly off the reel and passing smooth Its round profile enhances casting distance by peeling effortlessly off the reel and passing smoothly through the guides. Smackdown’s high strength-to-diameter ratio lets anglers load more line onto their spools, guarding against extended, heart-stopping runs by would-be trophies. Looking for extra insurance against broken lines or failed knots? Seaguar Smackdown provides exceptional knot and tensile strength, ensuring that bone-jarring strikes from outsized predators can be countered with powerful, penetrating hooksets, sealing the connection between man and beast. Smackdown is available now, in 150-yard spools in strengths ranging from 10 lb test (20 lb mono diameter equivalent) all the way up to 65 lb test, your best choice for apex predators in heavy cover. For many applications, Smackdown is the only line an angler needs. Simply use a Palomar knot to tie in a cross-lock snap, clip in your favorite lure, and get to work. 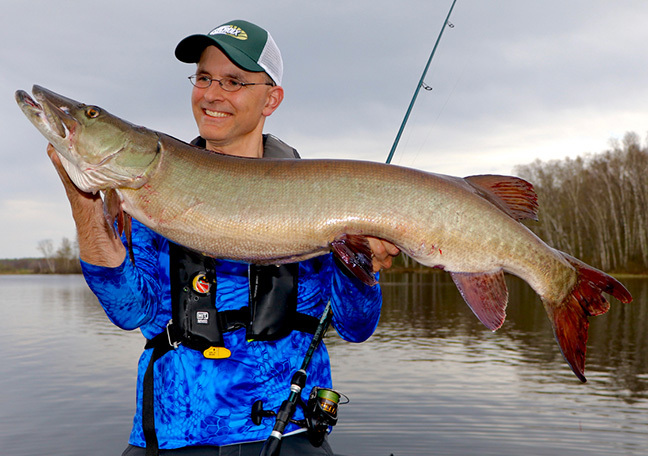 Throughout the season, bass and walleye anglers running Smackdown straight down to their lures have the line and knot strength they need to tame monster muskies, giant stripers, and enormous catfish using baits and tackle designed for much more modest fish. 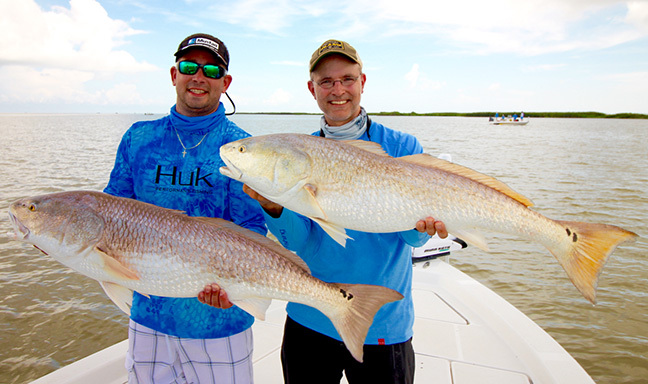 There are times, however, when a fluorocarbon leader is not only recommended, but an absolute requirement: chasing red snapper near rigs and wrecks; using popping corks and soft plastics for inshore sea trout and redfish; tempting oversized largemouth with classic Carolina or Texas rigs. In freshwater, tie on a Seaguar TATSU leader to enjoy all the benefits that fluorocarbon provides. 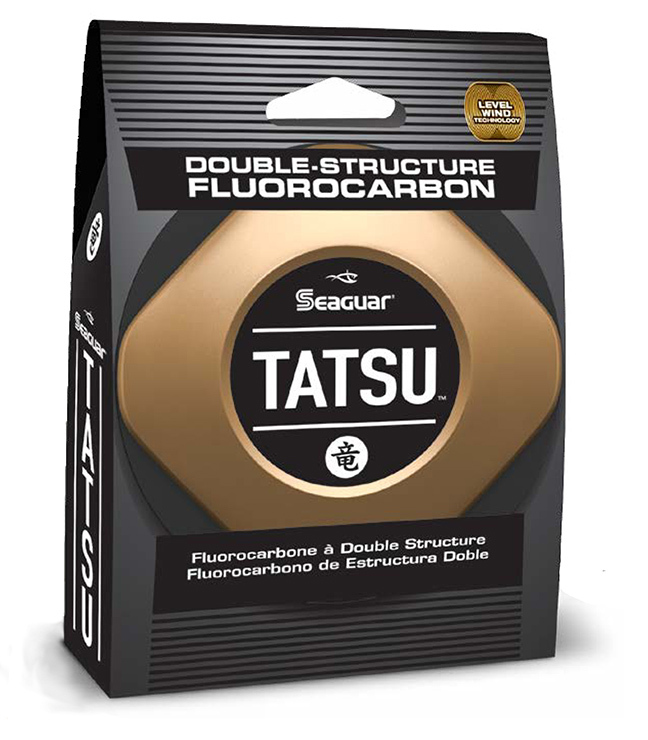 Seaguar TATSU is a double-structure fluorocarbon that Is prepared using a proprietary co-extrusion process that intimately links two unique fluorocarbon resins. Seaguar TATSU features a strong, sensitive core encased within a soft, supple exterior for enhanced knot strength. The unbreakable union between these two resins yields a 100% fluorocarbon line with unique properties and limitless possibilities. In addition to its enhanced performance features, Seaguar TATSU is much less visible underwater than nylon monofilament lines, and resists degradation by sunlight and many of the common chemicals that all anglers have in their boats – oil, fuel, sunscreen and insect repellent. TATSU is available in both 200-yard filler spools and 1000-yard bulk spools, in line strengths ranging from 4 lb test up to 25 lb test. With incredible impact and abrasion resistance, and a fast sink rate, saltwater anglers often opt for Seaguar Blue Label. This double structure, 100% fluorocarbon leader material allows you to use a smaller test leader than comparable nylons or fluorocarbon for unmatched bait presentations as well. Whether you are out looking for that “one fish”, or your paths cross by happenstance, you can be ready to battle that leviathan, and slip it into your net, with help from Seaguar lines – Always The Best! Common Sense: Is It A Lost Art?